Terry holds a Masters degree in Therapeutic Bodywork from the University of Westminster – London, UK; has been in full-time practise for 30+ yrs. and still passionate about her work. She loves to collaborate with a team of health professionals to determine the right treatment plan for each client, to assist their healing and continuing health maintenance. She has an eclectic toolbox of skills and uses a variety of techniques (see above) to treat clients with diverse conditions such as Sports injuries, Whiplash, Lymphatic Congestion, Headaches, Anxiety. Myofascial Cupping employs silicone and facial suction cups to rehydrate tissue, reduce muscular tension, TMJ, break down fibrous and scar tissue, help reduce cellulite, sinus and lymphatic congestion. Very useful as a preparation for chiropractic treatments. Subtle Biodynamic Craniosacral Therapy may be beneficial for those with sensitive or fragile constitutions. The elderly, terminally ill, pregnant mums + babies, those suffering with concussion, TMJ, whiplash, fibromyalgia, Lyme Disease, physical and emotional shock and trauma. This treatment is usually received fully clothed, unless combined with massage. Hellerwork Structural Integration – is a transformative 11 session series of deep tissue bodywork, postural and movement education and verbal dialogue. 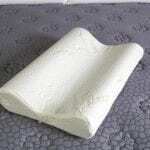 It is designed to realign the body and reduce physical and emotional holding patterns. Apart from working with people, Terry loves to travel and spent decades Global Roaming returning to Canada 6 years ago to assist elderly parents. She sings with Hillhurst United Church Choir, loves hiking, kayaking, Tai Chi Chuan and still has a big bucket list of adventures to undertake. Terry’s treatment days at Back & Body Health are Tuesdays thru Friday and alternating Saturdays.